If you’re going to invest in a surveillance system, you should make the most out of it. 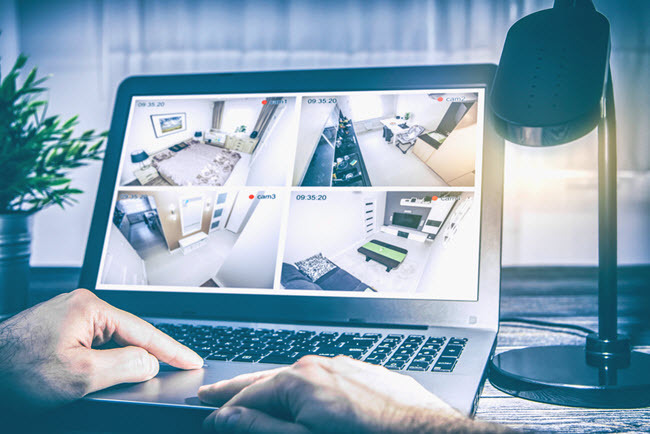 Many homeowners only check their live surveillance when they get an alert that an alarm has been activated, and only review archived surveillance footage after a criminal event like a burglary. But your security cameras can teach you a lot about what goes on in and around your property. Don’t just ignore it until a burglary happens—monitoring and reviewing your footage regularly could prevent a catastrophe. Here are times you should monitor and look over your security footage. Should anything have gone missing while you had renters, you can check your footage to see if they took it. Also, if something broke while renters were in your home—like an air conditioning unit or a Jacuzzi—you could get caught up in a legal battle, trying to prove your renters were responsible. Skip the guesswork and check your footage. Any time you travel for a prolonged period of time, you should check your footage once a day. Should anything occur—from a burglary to a tree falling on your roof—you can’t necessarily rely on neighbors to notice (or notify you). It’s up to you to check on your property regularly to look for any changes. Someone in your home has been leaving the door unlocked — but nobody will confess to it. It could be one of your kids, the babysitter, your spouse, or any number of people who frequent your home. Rather than carrying out an interrogation, just review your archived footage. You should be able to quickly identify the culprit. When Fido keeps escaping from the backyard, even though you’ve installed the sturdiest of fences, you don’t quite know what to do. Pets can find all sorts of ways to get out of the yard. Reviewing your surveillance footage can show you just how your pet gets out, so that you can determine how to better secure your property. If a tree that borders your and your neighbor’s property falls onto your roof, who is responsible for taking care of the damage? That will come down to the person who is responsible for the tree falling in the first place. Did your neighbor back into the tree, sending it falling? Did one of his landscapers accidentally hack it with an ax? This is something your surveillance may be able to show you when you’re dealing with a property dispute. You’ve ordered something and the company claims they attempted to deliver. And yet, you’ve been home every day during your designated delivery window. You certainly don’t want to pay for a new item. Your surveillance footage might show you that the delivery personnel never came by, or that he even handed your package to a stranger claiming to be you. Leaving your teenager home alone for the first time is nerve-wracking. But when they are too old for a babysitter, it’s time. Fortunately, you can check in on the live surveillance straight from your home security system’s smartphone app to make sure they aren’t throwing any wild parties. If a storm has left parts of your property flooded, taking a look at your archived footage could show you the source of the issue. You may have a gutter that’s backed up with debris or a leaking downspout that’s spraying water all over your lawn, rather than sending it away from your home. Naturally, you should check your surveillance after a burglary. Even if the criminals wore masks, the video could give police helpful information, like the shoes they were wearing, the build of their bodies, or even the sounds of their voices if your videos capture sound. Your surveillance cameras can teach you a lot about what happens around your home, so make the most of these helpful tools.